Published in Industry Updates on 09/10/2018 by Harry Lew, Chief Content Writer. The American Council of Life Insurers, the long-time lobbying arm of the life insurance industry, is expanding its efforts to include supplemental health benefits. Its advocacy program will now include insurance products such as dental, vision, and critical illness insurance products, as well as hospital indemnity policies. The ACLI, which has been a consistent presence on Capitol Hill for decades, spent some $1.7 million on lobbying in the first half of 2018, according to OpenSecrets.org. To execute this effort, it employs 13 registered lobbyists and also retains lobbyists at various lobbying-consulting groups. Currently, it advocates for about 290 member insurance companies, which represent 95 percent of industry assets, 93 percent of life insurance premiums, and 98 percent of annuity considerations in the U.S. Taking into account the new products just added, ACLI members provide financial protection to 90 million American families. As with its lobbying for other products, ACLI says it will initially focus on making sure state and federal legislators refrain from levying any new taxes or assessments on supplemental insurance products. 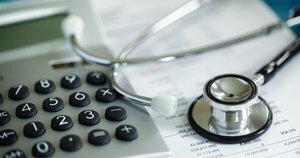 OpenSecrets.org says ACLI has already been fighting Affordable Care Act public exchange plan programs to impose assessments on non-Exchange carriers. ThinkAdvisor also reports that ACLI is creating draft federal legislation that would let employees automatically enroll in their employer’s disability insurance plans and also create tax incentives for consumers to buy stand-alone long-term care insurance.